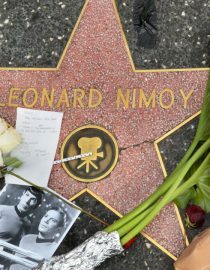 The late Leonard Nimoy refused to let his COPD and its limitations stop him from living life to the fullest, according to friend and fellow actor Zachary Quinto. Star Trek star Mr. Nimoy passed away last week as a result of end-stage COPD. He was 83. Mr. Quinto plays the character of Spock in the two most recent Star Trek films, and through that role became close to Mr. Nimoy. In an article in The Guardian earlier this week, Mr. Quinto described how Mr. Nimoy, who was like a father to him, coped admirably with his condition. “What I admired most was that he lived his life fully, all the time,” Mr. Quinto wrote. “Leonard embraced connections and opportunities. Even when chronic obstructive pulmonary disease slowed him down, he never let those restrictions diminish his capacity for joy. The new Spock actor went on to say he aspired to live a life as fulfilling as Mr. Nimoy’s. “Even the way he died – it was with such dignity and love, with family by his side. Amanda is NewLifeOutlook's editor. A proud New Zealander currently calling Canada home, she has a background in journalism and a love of words, cats and tea. When caring for someone with COPD there is a number of things you should be aware of and watching out for.